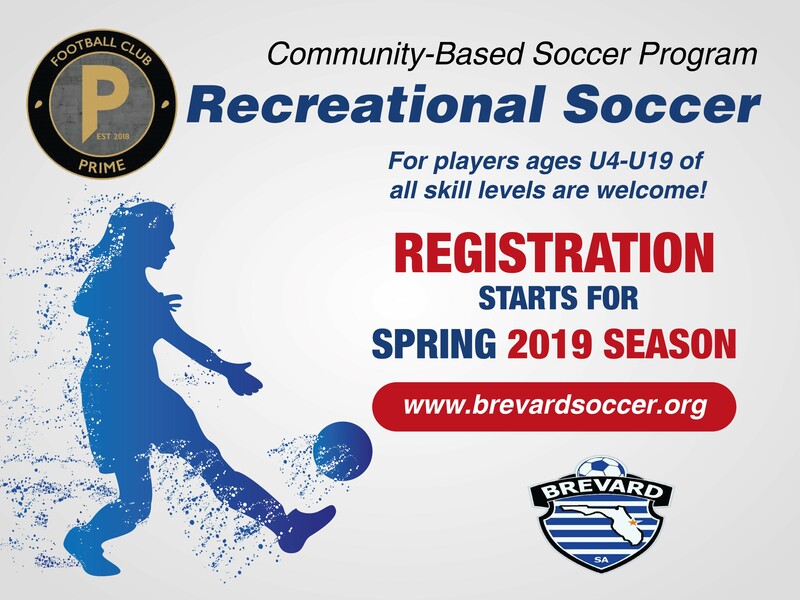 Community Programming Spring Registration Now Open | Football Club Prime Inc.
Brevard SA (BSA) operates a Recreational Soccer program, which is referred to as our Community-Based Soccer program, during the Fall and Spring seasons. The Fall season matches typically begin the weekend after Labor Day, with team practices beginning towards the end of August. The Spring season matches typically begin in the middle of March, with team practices beginning in late February. BSA Community-Based soccer teams participate in the Brevard Youth Soccer League (BYSL). Players ages 11 (11u) to 18 (18u) of all skill levels are invited to participate in the BSA Community-Based program. BSA also offers players ages 4 (4u) to 10 (10u) an opportunity to participate in our Academy and Juniors Program. In the past our Academy and Juniors program was part of the Community-Based program; however, these programs are now operated as part of the BSA Competitive Program, which helps to ensure all of our younger players receive quality, fundamental training from the BSA Competitive Coaching Staff. Although the Academy and Juniors Programs are part of the Competitive Program, these programs follow the same Fall and Spring schedule as the Community-Based Program. Additional information about the BSA Academy and Juniors Program can be located here.